This product is for conventionally driven vessels. The system uses a constant velocity joint to self-align the shaft. Thrust taken up on the engine from the propeller invariably changes the angle of the shaft line, particularly when the engine uses soft rubber mounts. 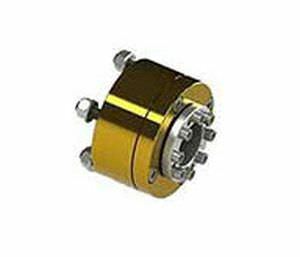 Using a single SigmaDrive replacement coupling will ensure the shaft is correctly aligned at all times, especially under high load. The result, reductions in many cases of around 50% in noise and vibration.